Rachel directs the High School Ensemble (Love’s Labour’s Lost) and leads her ensembles on tour to perform on Skyline Drive. A TPE staff member since 2007, she has directed As You Like It, A Midsummer Night’s Dream, Two Gentlemen of Verona, Julius Caesar and The Merry Wives of Windsor, as well as assistant directing Twelfth Night, Macbeth, A Midsummer Night’s Dream, and Scala’s The Fake Madwoman. 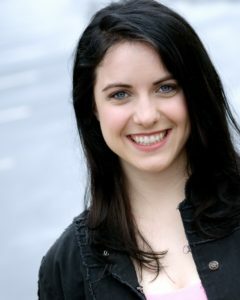 As a performer, Rachel specializes in classical acting, improv, Commedia dell’Arte and clowning. She regularly appears locally with Faction of Fools Theatre Company and Dr. Dour & Peach. She holds a BA in Theater from the University of Maryland, College Park. She has also trained with Dodi Disanto, Antonio Fava, Washington Improv Theatre, Second City, iO, National Theater Institute, St. Petersburg State Theatre Arts Academy and Staniewski Centre for Theatre Practices Gardzienice. A lifelong lover of nature, Rachel enjoys hiking, back woods camping, and being in the rain. She holds NOLS Wilderness First Aid certification. She has a Commercial Drivers License and trains Traveling Players bus drivers. Rachel is an American Sign Language interpreter and a graduate of the Interpreter Training Program at the Community College of Baltimore County.